Adobe Target, is an industry-leading tool for running A/B tests as well as targeting different content to different segments. You can fit in Adobe Target with various platforms, experiment, track the conversion, and optimize the website or digital strategy based on the results. In short, this tool delivers the right experience to the right customer. 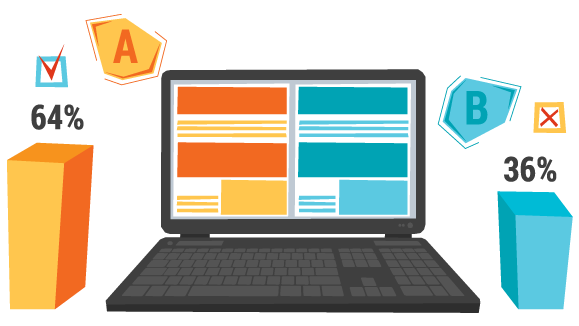 A/B & Multivariate Testing to concurrently determine the best offers, messaging & content. Self-learning algorithm to automate targeted content to individual customers. Confidence levels inserted into the reporting tool is a key feature, it allows users to easily understand when results are significant. Re-engage customers through mobile apps using location based targeting. Implement flexible test elements and have the option to link multipage tests across web pages and multiple channels.